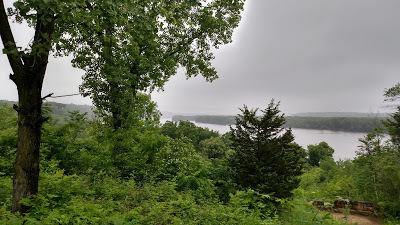 Iowa was the 49th state I've visited and our day's destination was the Mines of Spain, overlooking the Mississippi River. This park of rolling hills and surprisingly deep canyons challenges the assumption of Iowa as a flat, uninteresting state. I suppose every American dreams of seeing every state at one point or another. While this is most commonly achieved through long drives and airport layovers, I think it's worth it to see every state through outdoor adventure and exploration. Iowa holds much to enthusiasts such as me through a multitude of flat water paddling and hiking trips. 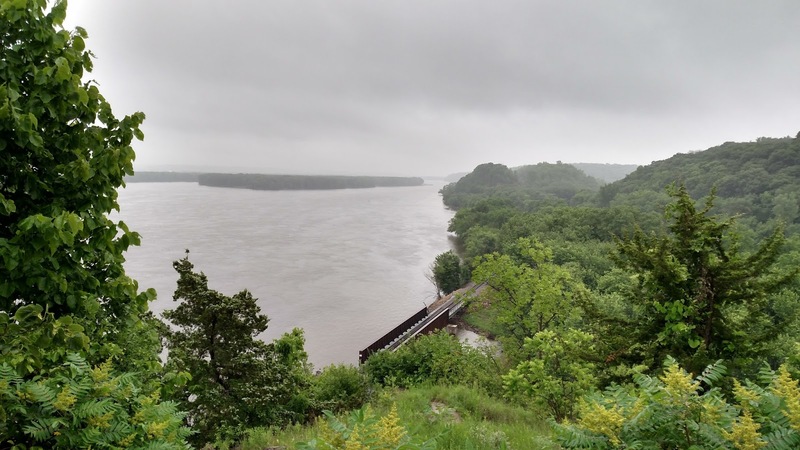 The iconic Mississippi River cuts through the otherwise flat terrain of many Midwestern states and creates uncharacteristically rugged cliffs and gorges that offer plenty of opportunities for wandering. 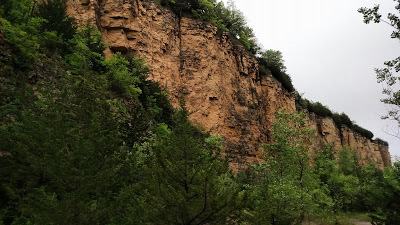 Mines of Spain Recreation Area has actually been on that list for a long time now. Several years ago I was intrigued by the idea of finding the "Grand Canyon" of every state. When I lived on the east coast, the term was frequently used to describe natural features that were every bit as worth the visit as the actual grand canyon. While I didn't necessarily find the term used in every state, I was able to find 36 examples that more-or-less adopted the term "The Grand Canyon of...". 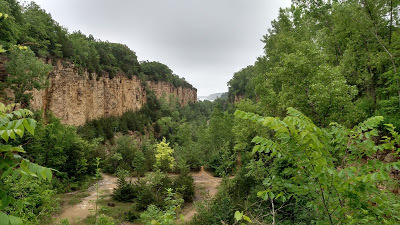 Hence, long before I moved to the Midwest, I had learned of the Mines of Spain as the "Grand Canyon of Iowa". While the entire park is full of canyons, Horseshoe Bluff is the deepest. Although not entirely natural (it was a quarry at one point), the canyon does offer some excellent views of the Mississippi River Valley. 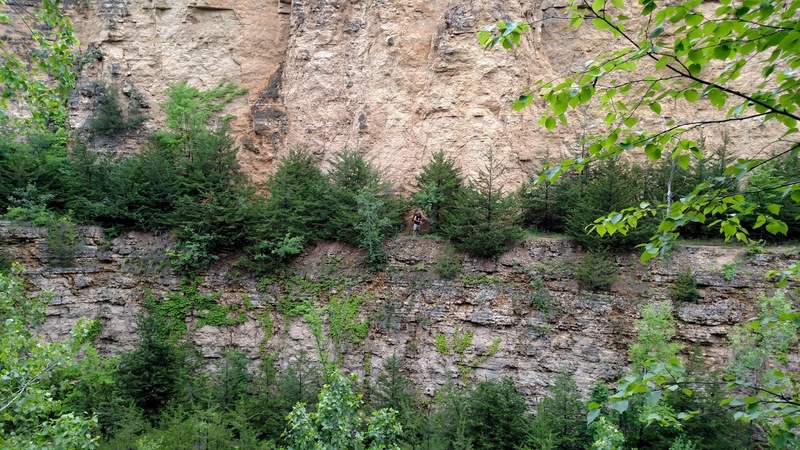 The steep walls of the bluff are striking when viewed from both rim and the bottom. The hike itself was no more than 2 miles and we had a lovely time poking around the network of trails on both sides of the canyon. Some perspective for the canyon walls. 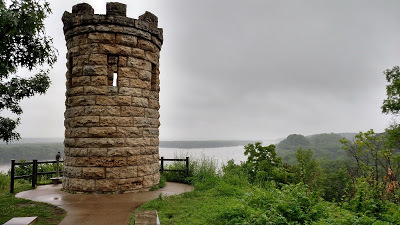 Another destination which shouldn't be missed is the Dubuque Monument which overlooks the entire Valley. This is about a 1/2 mile hike from the parking lot although there's the alternative of driving to the parking lot at the top too. However, the hike is a lovely walk through the woods. This time of the year, everything was so lush and green that it was just as nice to just sit and enjoy the vibrant sounds of nature. We even recorded some of the ambient noise as it was very soothing. At the "summit", the Dubuque Monument offers some natural and historical perspective to the Mines of Spain. One can enjoy the view of the City of Dubuque to the North or the view of the massive river to the South. It was also a perfect lunchtime picnic site. We ate our tuna sandwiches and marveled at the view of America's river. Had we a world in time, we would have liked to have kayaked or made a road trip out of seeing the entire upper Mississippi River. As it turns out, the Dubuque Water Trail was the answer to my kayak trip questions. Although this was not an option to us that day, it would make for a nice return trip! My first trip into my 49th state was a great experience. I'm glad I was able to see a part of Iowa which abounded in natural tranquility. Anyone who calls themselves an outdoor enthusiast would be happy here. I look forward to coming back with a kayak/ Read. Plan. Get Out There!